The Escape Step Platform is the cornerstone step-based product for the group exercise space. Use a single STEP for classic step exercises, raise the height with the Risers (to be purchased separately) for more challenge, or create an inclined platform for extra stepping options or bench work. Versatility is guaranteed and it’s easy to switch between configurations mid-workout. Made from polypropylene that’s strong yet allows a little ‘give’ for superb feel. Light enough to ensure excellent portability. 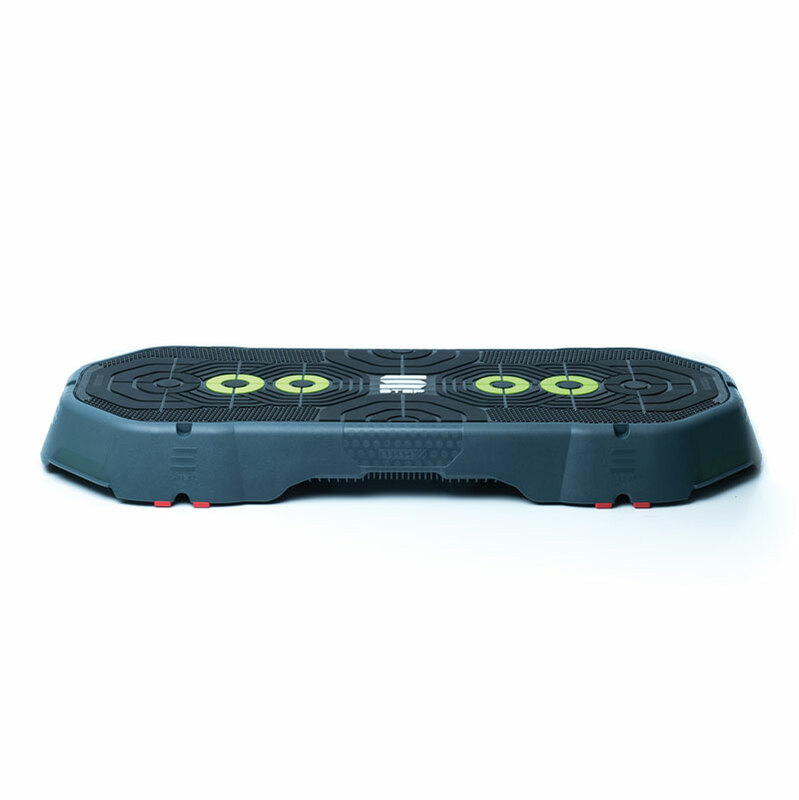 The top mats and stabilising blocks are made from anti-slip thermoplastic rubber, so even the fastest moves can be performed safely and confidently. Eye-catching colours bring this studio favourite right up to date, with anatomic targets on the top mats for precise workouts. A unique locking system means that Risers (to order separately) fit securely inside the Step in any configuration, and doubles up as a way to lock units together for carrying and stacking at the end of workouts. Get people to use their feet and hands on the platforms, and use the built-in resistance tube channels for whole-body workouts. Please note that Risers are to be ordered separately. Step: 107mm x 446mm x 1063mm. Weight 6.23kg.